“I will be analysing my thriller opening sequence which I filmed and edited as my main task which formed part of my Foundation Portfolio in Media. 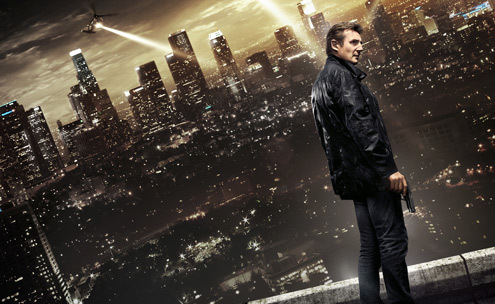 In class, we studied audience and audience theory in existing Thrillers such as Taken 3, Seven, Psycho, the hybrid thriller Skyfall and Escape Plan. This enabled us to fully understand how theories of audience can be applied to our own productions?. Acknowledge that, using David Gauntlett’s Prosumer audience theory, in analysing existing thrillers and developing an opening sequence you are both producer and consumer of a media text – one step beyond the traditional audience of thrillers. Identify the target audience of your thriller using socio-economic categorisation e.g. B, C1, C2, 16-24, urban/city living (London and the south-east), male skew. Use as may different ways to target your audience as possible e.g. psycho-graphic categorisation - aspirers/mainstreamers and according to demographics students or ‘first jobbers’, living with parents, single, middle class or at least aspirational working class with a reasonable level of education to understand encoded narrative themes. VALS (values, attitudes and lifestyle) will also be a useful framework here. Then apply Jeremy Tunstall’s primary, secondary and tertiary target audience – primary (see above) but secondary would be older, male, 35-55 who, in terms of audience identification and intertextual targeting focuses on narrative and characterisation. Tertiary – female, 14-19 (intrigue, cool, exciting, star marketing/secondary persona).